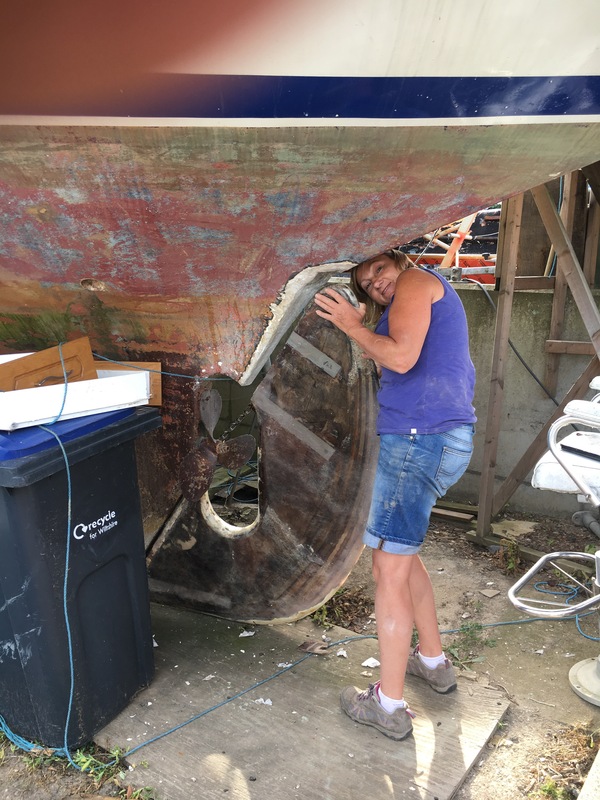 Here is Carrie holding up the rudder in its final location for me to see if I need to make adjustments. It’s heavy but she’s a strong woman. Big isn’t it? 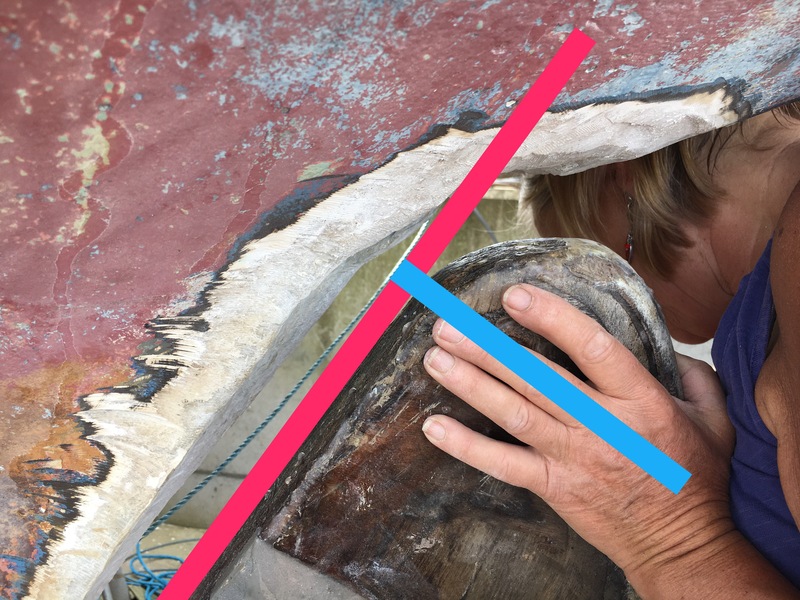 The rudder shaft has to be replaced as it was, if you remember, severely bent. The next photo shows how close the rudder fits against the hull. The red line shows the rough position of the shaft. The blue line shows where I have to saw it off to enable me to fit it all in. I have to modify the shaft into two pieces because of the way it will be installed. All will become clear in time.